The NBA’s Defensive Player of the Year award is always a tough market to pick, but there are three players out in front of the rest right now. We state a case for each and pick our best bet at the halfway point of the season. The Defensive Player of the Year award generates just as much debate amongst NBA nuts as the Most Valuable Player award. Massively reliant on the eye-test and with minimal assistance from the sort of analytics that dominates the game today, debates rage every season over who should win the DPOY. We’re lucky enough this season to have the field whittled down to three just after crossing the halfway point of the season. Anthony Davis, Paul George, and defending defensive player of the year winner, Rudy Gobert, are ahead of the field with one looking to be exceptionally good value at this point in the season. Davis shouldn’t be here on the first line of betting a $4. Undoubtedly a great player and troubling defender, the numbers don’t back it up. Sure, he is second in the NBA in blocks with 2.6 per game. But he isn’t anchoring an elite defence like the other two candidates. 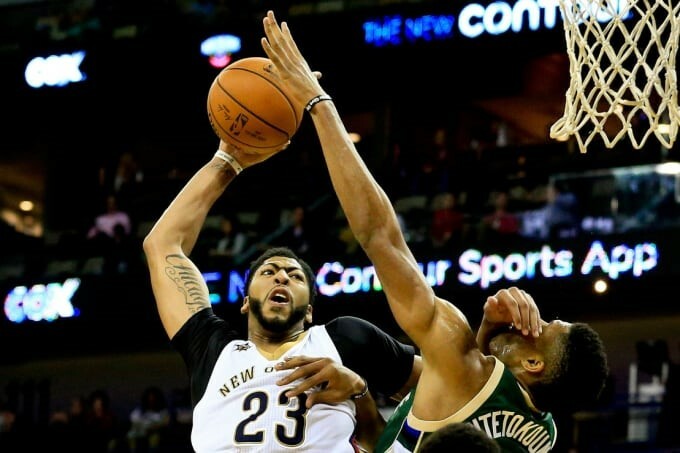 The Pelicans are playing with a 25th-ranked 112.8 defensive rating. It’s not like it’s caused by Davis leaving the floor either. Of all players to have featured in 35+ games while averaging 20+ minutes per game, Davis’ 109.7 defensive rating ranks 144th. While Davis might not have the numbers, he has word of mouth. We saw what Derrick Rose could achieve by word of mouth in 2011. Davis could well do the same here. George has long been considered an elite three-and-D player. However, he’s been somewhat of a forgotten man in the DPOY market in recent years. The dramas associated with working his way out of Indiana in 2016-17 removed him from consideration. Likewise, his working into Oklahoma City in 2017-18 took some work. However, with the ink dry on a massive long-term contract giving him the peace of mind to just go out and play, George is having a career year on both sides of the ball. Of all players with 35+ games averaging 20+ minutes per game, George leads the NBA in deflections (3.8 per game) and loose balls recovered (2.3 per game). He’s second in steals (2.3 per game) and seventh in defensive rating (101.5). He passes the eye-test and has the numbers to back it up. Tasked with defending the oppositions best perimeter player every night, George is producing the goods at the moment. His $4 price appeals, but there might be one man that can pip him at the end. Rudy Gobert is the defending Defensive Player of the Year. Currently at $4.33, he’s a good chance of going back-to-back. With the Jazz starting the season exceptionally slowly, Gobert had struggled to plant his feet in this conversation. However, the Jazz have played with the best defensive rating in the NBA since December 1st, allowing Gobert to have his say. He anchors what is the third-best – and rising – defensive team in the league. Individually, Gobert ranks fourth in defensive rating at 100.7. Part of what makes it so difficult to measure Gobert’s impact is determining how many shots he stops from being taken in the first place. How many times does a player that would otherwise drive to the rim and challenge the centre, pull out of the shot. We know Gobert is second in the NBA in contested shots with 15.7 per game, but how many don’t get taken? What we do know is of the shots taken near Gobert, he’s blocking 2.1 of them per game (sixth-most in the league) for an NBA-best 3.1 defensive win shares. The Frenchman is the defending Defensive Player of the Year, and at $4.33, is the best value on the market right now.